Having graduated in History and Law from Trinity Hall Cambridge, Alistair Alcock was called to the Bar at Middle Temple but then joined Phillips & Drew as an investment banker (later UBS-Phillips & Drew) where he became a Partner, then Director, Corporate Finance. 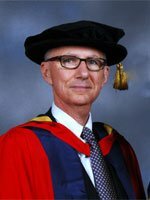 After a career break in Italy, he came to the University of Buckingham as a Lecturer in Law, becoming Senior Tutor, Professor, Dean of the Law School and finally Deputy Vice-Chancellor before being tempted away to head a brand new Law School at the University of Salford. Alistair Alcock has written books and articles on Company Law and Securities Regulation and is currently the General Editor and a major contributor to Gore-Browne on Companies. Wilhelm Bourne was born in Barbados where he was educated prior to entering the Barbados Civil Service, serving in the Department of Statistics. 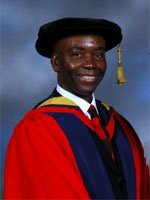 Following recruitment to the Bermuda Police Service (where he was promoted to acting Inspector) he resigned to pursue a law degree at the University of Buckingham, graduating in 1987. He then enrolled at the University of the West Indies where he graduated with a Legal Education Certificate (LEC). In 1990 he was called to the Bar of Trinidad and Tobago, Barbados and Bermuda and later entered private practice in Bermuda, also being called upon to act as a Magistrate. In 1994 he was appointed to the Attorney General Chambers (Crown Counsel), on occasion being seconded to act in the office of the Registrar of the Supreme Court. He was subsequently appointed Principal Crown Counsel and in 2001 Solicitor General in Bermuda. Later that year, in recognition of his service, he became a Justice of the Peace for Bermuda followed by appointment as Deputy Governor, a post he held until 2006. At the end of 2006 he was sworn in as Attorney-General of Anguilla, West Indies, also serving on the Executive Council and the House of Assembly for Anguilla. The Honourable Wilhelm Bourne is married to Linda Claudette Bourne and they have two children, Sabrina and Mark, and one granddaughter, Milon. Having graduated from the University of Belgrade in 1972, Ejup Ganic continued his studies at the Massachusetts Institute of Technology (MIT), graduating with a DSc in Mechanical Engineering in 1976. He began his academic career at the University of Illinois, leaving in 1982 to return to Bosnia and Herzegovina where he joined the University of Sarajevo and UNIS Corporation. Ejup Ganic has held political office as Vice-President and Acting President of Bosnia and Herzegovina in 1996, and for many shorter terms. He was co-founder and President of the Centre for Democracy in Vienna and also founder of the MET Foundation, creating a programme for young entrepreneurs to establish small businesses. A sponsor of the Women’s Forum in Bosnia, he also established the Bosnian Peace Corps, a citizens’ association with a programme of volunteer work in the post-war recovery. 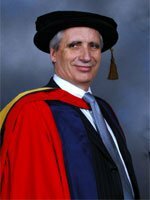 In 2003 he established the first private, not-for-profit university, the Sarajevo School of Science and Technology (SSST). He is married to Fahrija and they have two children, a daughter Emina and a son, Emir. Anatole Kaletsky was born in Moscow and was educated at Cambridge, gaining a First in Mathematics. He went on to Harvard as a Kennedy Scholar and was awarded a Masters in Economics. Between 1976 and 1998 he was a full-time journalist for The Times, Financial Times and The Economist, when he expanded his activities to include economic forecasting and financial consulting. He is also a Director of several investment companies, including the JP Morgan Emerging Markets Investment Trust. In 1998 he was elected, for a five-year term, to the governing council of the Royal Economic Society. 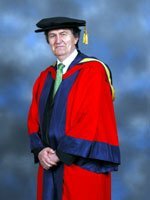 Since 2006 he has been a member of the Nuffield Council on Bioethics, an advisory body on the issues raised by medical and biotechnology advances. He is currently Editor-at-Large and principal economic commentator of The Times, where he writes a weekly column on politics, economics and international relations. He is also founding partner of GaveKal Capital, a Hong Kong-based economic advisory and asset management company. Anatole Kaletsky has received many awards, including Commentator of the Year, Economic Journalist of the Year and European Journalist of the Year. He is married to Fiona (a film producer) and they have three children.